Moving gun safes require the right equipment, muscle, preparation and finesse. Let us give you the stress-free move you deserve. Call now to book your free onsite consultation! Are you looking to move soon and are worried about how to get your gun safe to your destination? We can absolutely take your gun safe along with the rest of your items. Did you move all of your household items yourself and just need us to deliver your gun safe? We can do that as well. Is it time for your safe to go from the garage to the basement? We do that. Just buy a gun safe from Murdoch’s or Rocky Mountain Gun Trader and need to get it home? We are the gun safe movers for you. Give us call! No matter your situation, Good Movers can safely (I know, lame pun) handle your gun safe move. Our experienced, well-trained crews have the expertise and know how to handle most any situation when it comes to moving bulky items. They will arrive with the professional equipment necessary to make your move as seamless as possible. For safe moves, we generally send a crew of two, three, or even four men depending upon the size, weight, and terrain. Most gun safes are able to be moved in our standard box truck with a ratcheting appliance dolly and lots of muscle. Generally speaking, a safe that must go downstairs requires three movers and a safe that must go upstairs requires four movers. If your safe is going into the house, we will supply masonite hardboard to protect any hardwood floors that we must cross over. 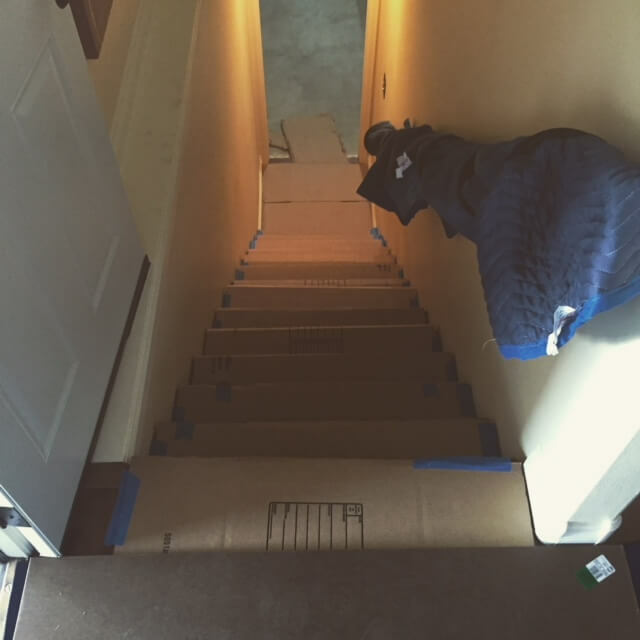 In addition, we will supply heavy duty ramps to get the safe into your home. If the safe must go across uneven terrain to get to the back entrance, we will supply plywood to prevent damage to your lawn. For larger safes, we bring any necessary pallet jacks or trucks with lift gates to get the job done safely. Do you need to move your safe across state lines? We are fully licensed and insured to complete interstate moves. We can offer different levels of protection for both your gun safe and your residence to make sure you are covered in the event of the unspeakable! You will be in good hands with Good Movers. Give us a call or text today (307-274-8768) or book your move online via our handy-dandy software !